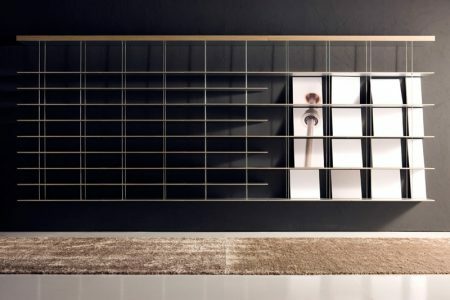 Jean Nouvel has designed a brilliant wall structure resolved in a single shelf anchored to the wall. 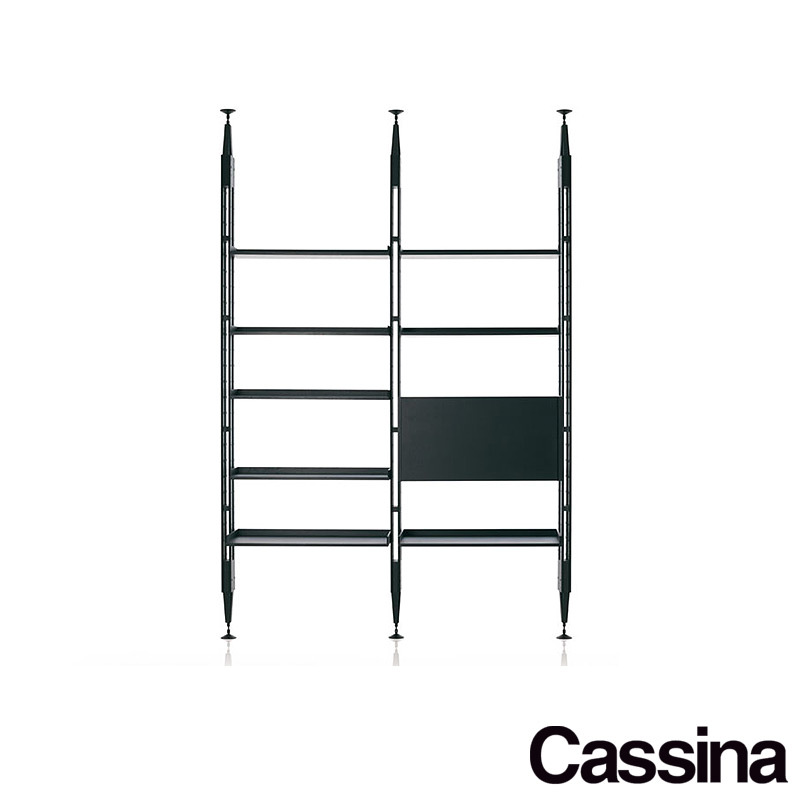 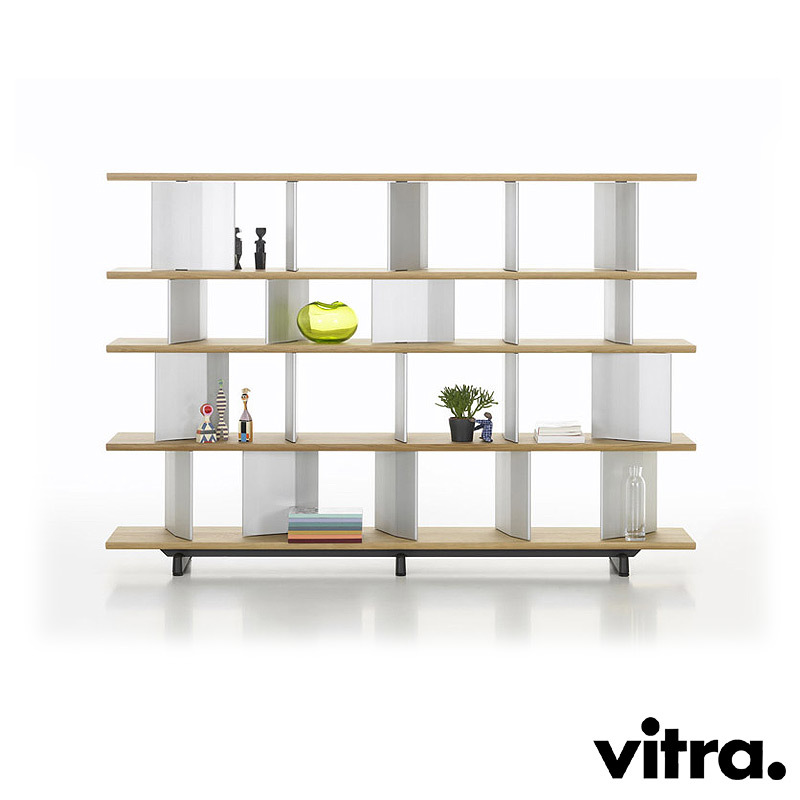 Slender steel braces support adjustable shelves that seem to float in the air thanks to invisible support mechanisms. 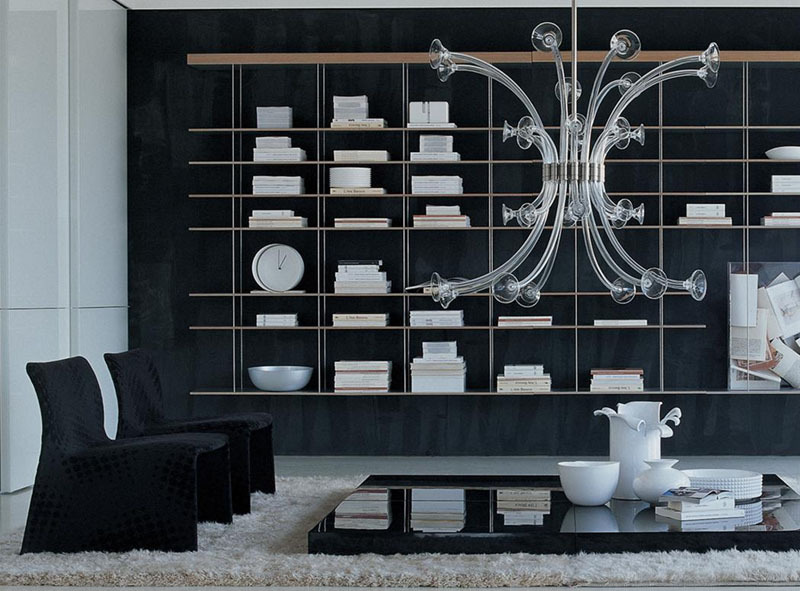 Transparency and lightness in space made up of air. 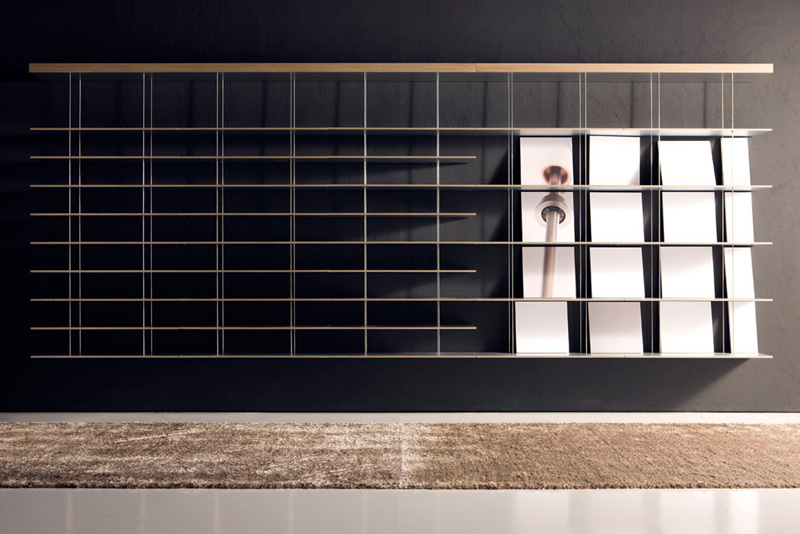 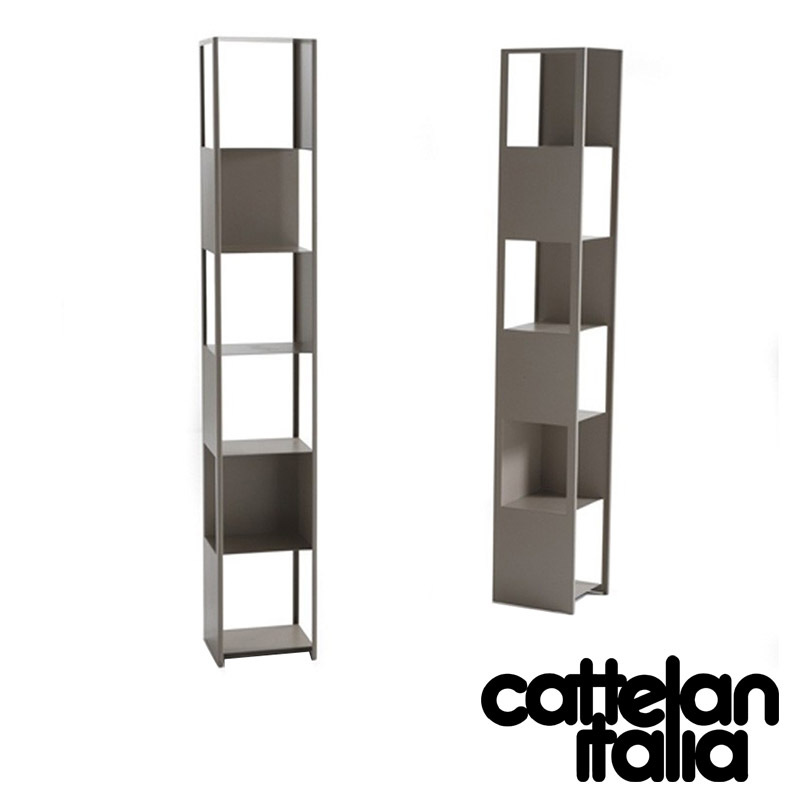 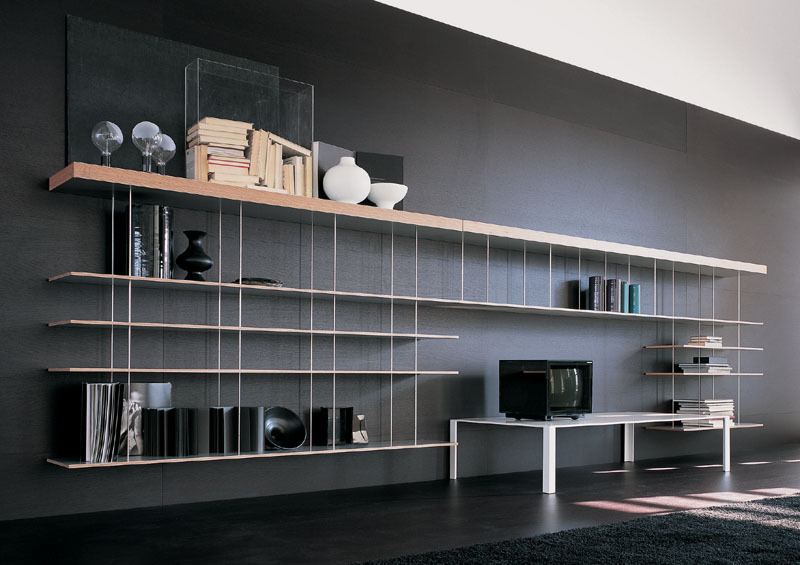 – Materials: shelves in natural or black aluminium with plywood edge and tie rods in stainless steel.